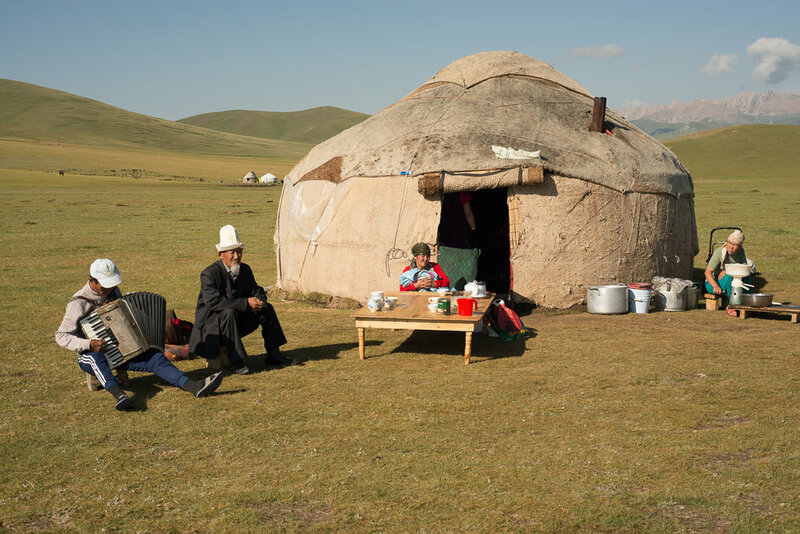 More than 25 years after the break up of the Soviet Union the people of Kyrgyzstan are returning to their nomadic way of life. During Soviet times they were forbidden from owning their own animals and were forced into collective farms, factories and state employment. Everyone worked for the state. Today the industrial cities are filled with rusting derelict factories and over-grown parks and plazas. After the Soviet Union collapsed in 1991 many factories, which were part of the Soviet trading system, closed as trade links broke up. Nowadays the majority of people aren’t officially employed. They make a living by rearing and selling animals and living off the products of their livestock. Or they buy and sell Chinese-made goods at the market. 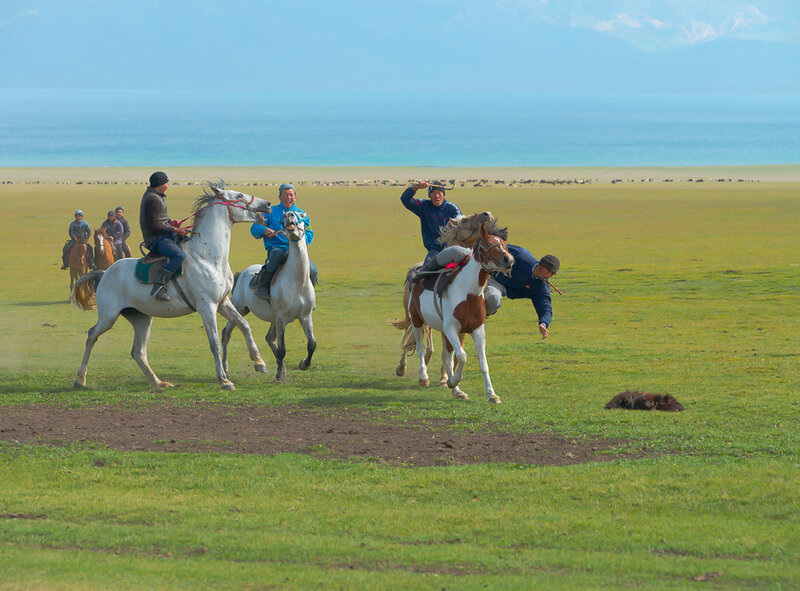 During the summer months when the snow melts away, people take their livestock to graze in the high pastures and return to the nomadic way of life. 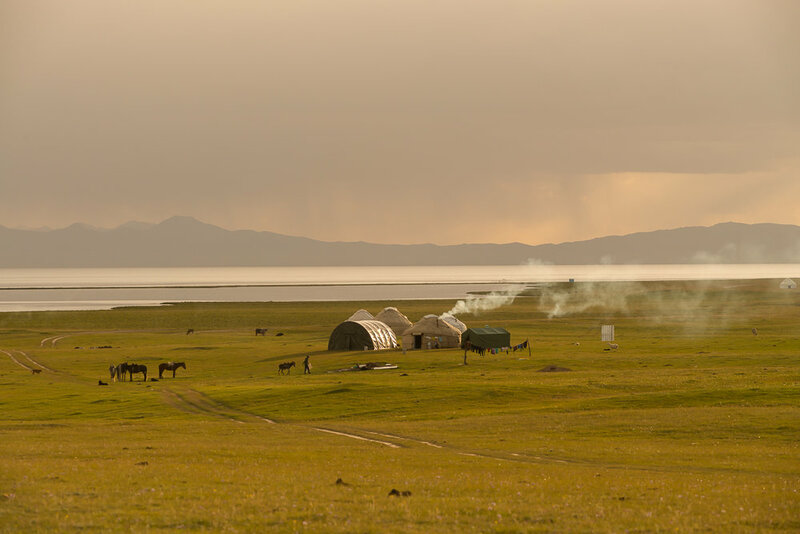 They set up the circular tents, known as yurts, to live in and they survive off the milk and meat their animals provide. In July, 2016, I travelled to Lake Song Kul to photograph this nomadic way of life.